LAM SON 719 was certainly major in every way. It started in late January, 1971 and was completed by early April. During this operation the Army lost at least 106 helicopters and the Marines lost two of their big Sea Stallions. 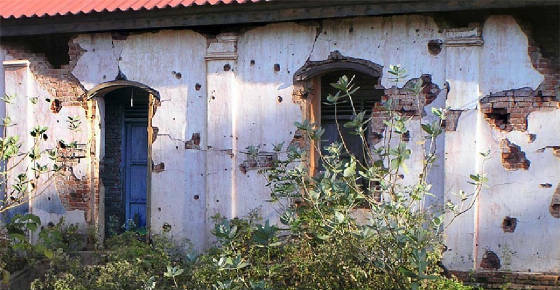 Xepon, Wat, showing scars from the battle of Lam Son 719,Operation Lam Son 719, was a limited-objective offensive campaign conducted in southeastern portion of the Kingdom of Laos by the armed forces of the Republic of Vietnam (South Vietnam) between 8 February and 25 March 1971, during the Vietnam War. The United States provided logistical, aerial, and artillery support to the operation, but its ground forces were prohibited by law from entering Laotian territory. The objective of the campaign was the disruption the Ho Chi Minh Trail of a possible future offensive by the People’s Army of Vietnam (PAVN),Gps lao, Hi Chi Minh trail. "I was at the base camp where the ARVN and US helicopters took off that particular day. I got there with my waterwell drilling team in the evening, but the base camp was almost abandonded. I set up my squad on full alert because the few pilots and crewmemebers of the 3 helicopters that survived, out of the 48 or so helicopters that were blown out of the air, that day, were in the noncom's messhall, completely out of it! Maybe a dozen survivors. Shocked me and my body guard, a sergeant who drove my jeep with M60 and my 5-ton truck with 50 cal mounted in the back. I was on the way to Pr'Lene Mountain with the waterwell drilling Winterweis rig and team. Lam Son 719 operation failed, according to the documents I have read since then in the last 41 years, because of Intel. They were ready for the choppers that day, and blew them out of the air. I will never forget that. Niether will the dozen men who survived. My team and I camped at the ARVN chopper base that night, and had no problems with mines nor mortars nor Claymores nor fire-fights that night. But the next day we had sporadic fire fights along the road up the mountains to Pr'Lene Mountain sat station, and I have my men fire our M60, the 50 cal, and our M79 grenade launchers into the pine trees. 1971"